Isuzu Philippines Corp (IPC), continued its road show to promote the modern jeepney, this time at the Philippine Bus & Truck Show 2018. 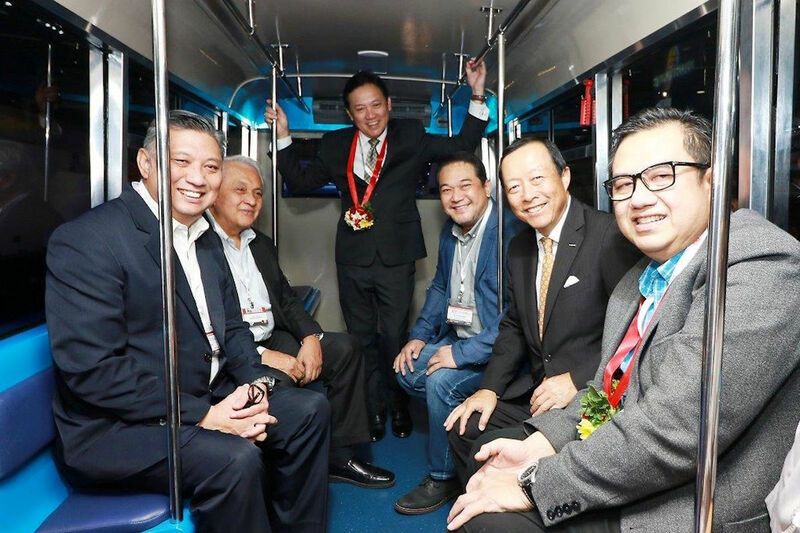 In line with the show’s theme of “Modernization of jeepneys in the Philippines for green cities,” IPC brought out its QKR77-based modern jeepney manufactured by three of the country’s leading body builders. The new PUV body is compliant with Philippine National Standards (PNS 2126:2017), providing more space for passengers to move easily inside. The passenger door is safely situated on the right-hand side, facing the sidewalk. Other design features of the body include panoramic windows and windshields, full-body insulation with GeneQ shield, automatic door closer, ECE-compliant headlamps, brake system, wipers, windshield washer, and side view mirrors, and provisions for persons with disabilities. Completing the modernized features of the new PUVs are the LCD/LED TV monitors, electronic signages, fire extinguishers, GPS navigation system, CCTV, dashcam and back-up cameras, and the BEEP automatic fare collection, all geared for passengers’ safety, entertainment, and added convenience in fare collection. 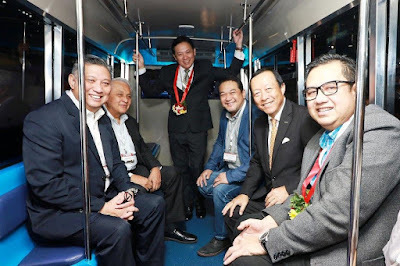 IPC’s modernized jeepney was, in fact, chosen as the vehicle to formally kick off the PUVMP when the first batch of such vehicles were turned over to the Senate Employees Transport Service Cooperative (SETSCO) as the pilot operator of the program last June 2018. The unmatched combination of high-quality standards, fit-and-finish, warranties that are well-adapted to local transport conditions, and the four-way Isuzu Advantage makes IPCs modernized jeepneys the top-of-mind choice of PUV operators applying for the PUVMP. The Isuzu Advantage is the sum of IPC’s different customer support programs bolstering its world-class lineup of vehicles. The first advantage is IPC’s roster of durable, reliable, fuel-efficient vehicles and its tried-and-tested body builder partners. The second is its nationwide dealer network that now counts over 41 outlets complete with servicing facilities. The third is the reliable and prompt nationwide parts availability. Finally, IPC’s team of expert service technicians and field support personnel are on call to provide technical assistance whenever and wherever needed.